The Coalition Of The Swilling » I Mean, Imagine THAT! 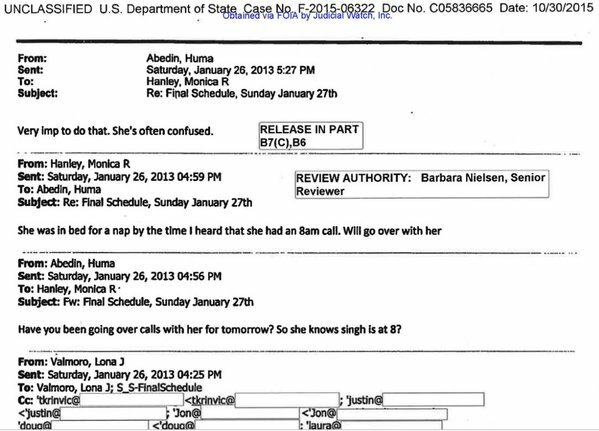 Not ONLY does Huma (an impeccable source, mind you) assert Hillary is “OFTEN CONFUSED” (?!?!?!? ), but that she TAKES NAPS. I don’t know which alarms me more. I remember that nap-taking was an issue when Reagan ran. Should we not also question Herself, then? Hey, what’s wrong with naps? That’s my favorite part of the day. Naps are a good thing. But that “often confused” worries me – is she suffering some form of senile dementia? 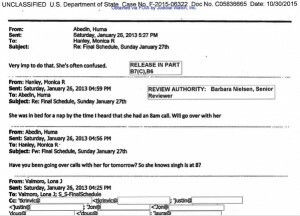 I took it to mean Huma saying to Hillary, “How many times must I tell you, Hillary? That’s not my elbow”.